While it’s true that most of the world around me seems obsessed with all things pumpkin this time of year, I am going to admit right off the top – I am not such a huge follower of the ‘pumpkin spice’ phenomenum. I don’t care for it in my hot beverages, I don’t want it in pie. I am not interested in it in most baked goods. 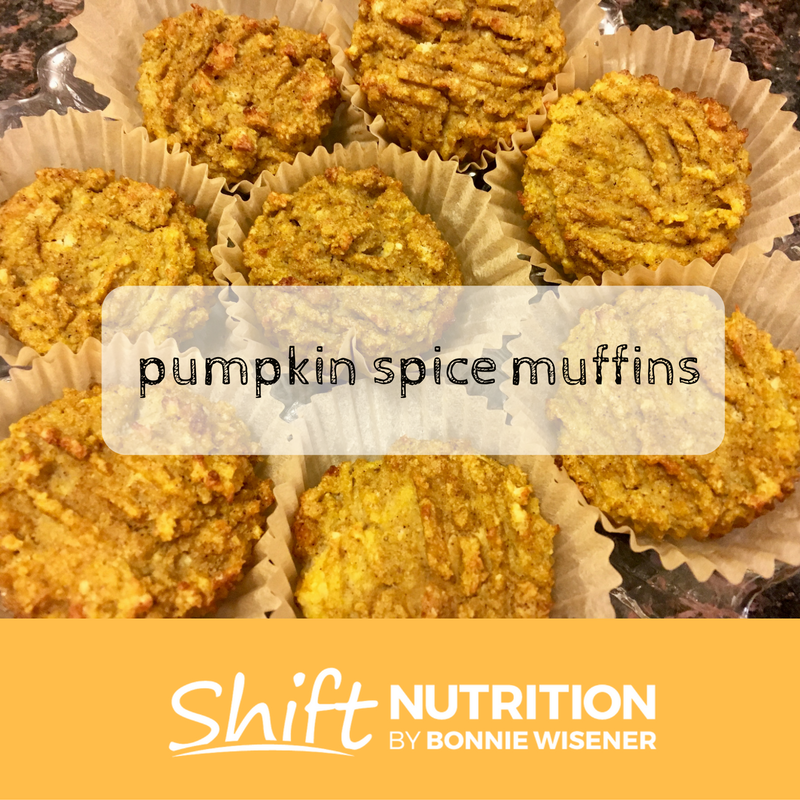 So, what’s a nutritionist girl to do when one of her clients asks here to please “shift” her favourite pumpkin muffin recipe? 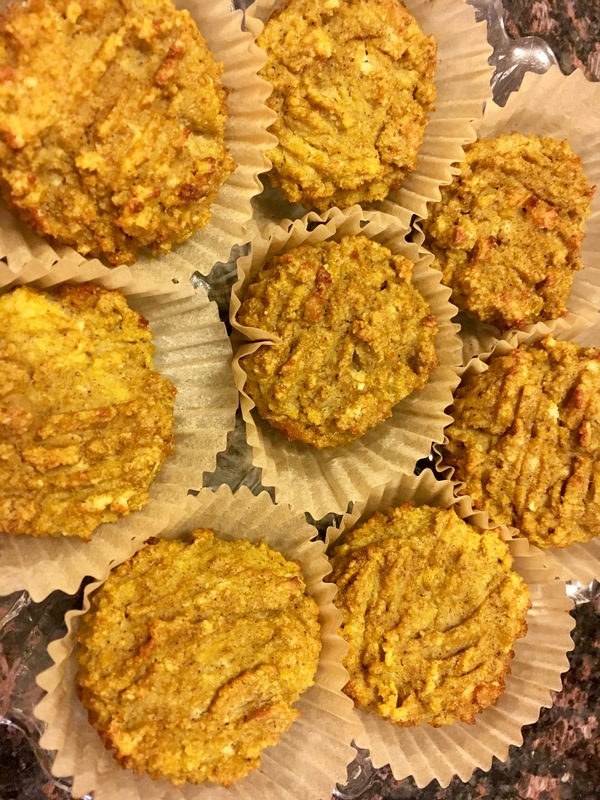 So, I set out to make this the tastiest, healthiest pumpkin muffin I could. Her recipe was full of added sugar and artificial flavourings. Most pumpkin type recipes are. Pre-heat oven to 350. Line a muffin tin with liners. Blend eggs and coconut flour. Mix well. Add the pumpkin puree, coconut oil, vanilla and maple syrup. Blend. Add the baking soda and cinnamon/allspice and mix well. Makes 10-12 regular sized muffins. Kinda supremely delicious a bit warmed with a dab of butter. Looking for more pure pumpkin goodness? Click here for the most filling, delicious and easy to make soup recipe that is a favourite among clients – AND EVEN MY KIDS ENJOY! TOP 5 NUTRITIONAL BENEFITS OF PUMPKINS! 1. Pumpkins are an amazing source of Vitamin C, which is great for our immune system. 2. Pumpkins are also a good source of Vitamin A, which is good for your eyesight, and general eye health. 3. Pumpkin Seeds contain tryptophan. Tryptophan is helpful in keeping your happy. 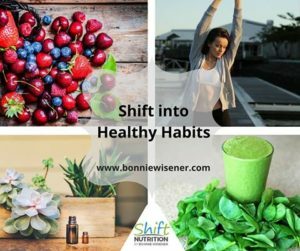 It is an amino acid that helps our body produce the neurotransmitter seratonin. 4. Pumpkin seeds are also an excellent source of Zinc, which is essential for heart health. 5. Pumpkin seeds contain a good deal of Magnesium which is important to maintain healthy nerves, muscles, blood pressure, and immune function. Maybe I am not such a pumpkin hater after all. PS – I even liked the muffins! P.S. Don’t be shy. 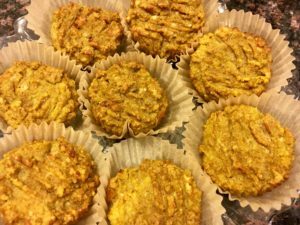 Get into the facebook group and post your family’s favourite recipe – I am happy to make it healthier for you. Or, email me at bonnie@shiftnutritionandwellness.com.